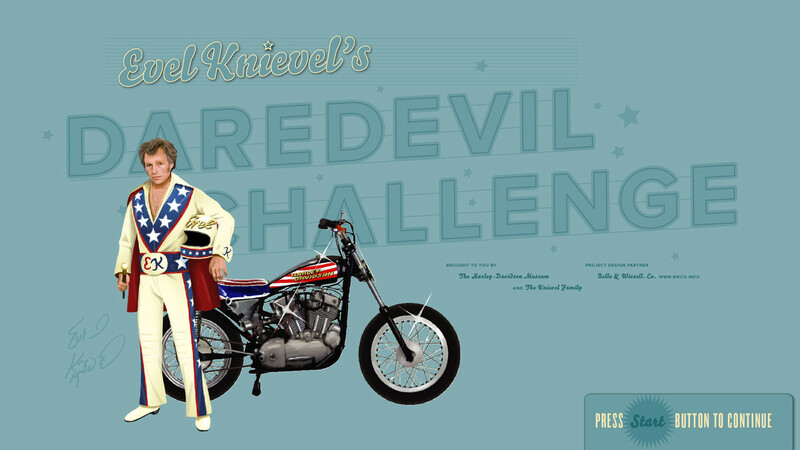 Belle & Wissell designed “True Evel: The Amazing Story of Evel Knievel”, an 8,000 sq. 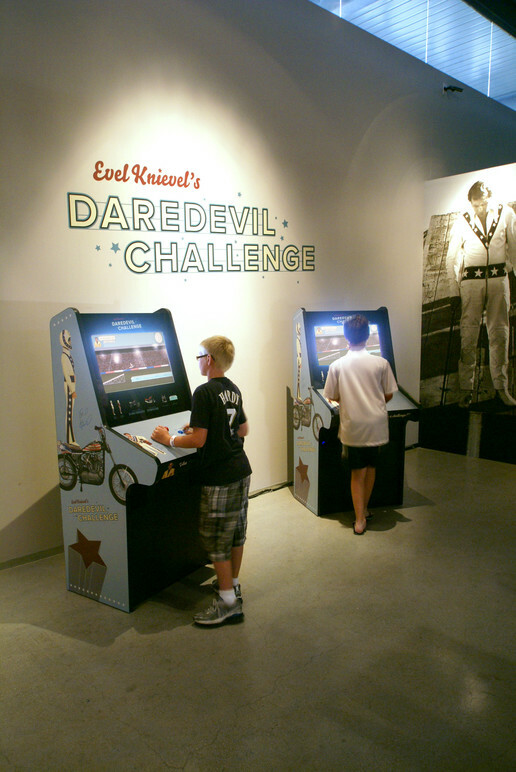 ft. exhibition that includes an arcade console game to engage younger audiences through fun gameplay. 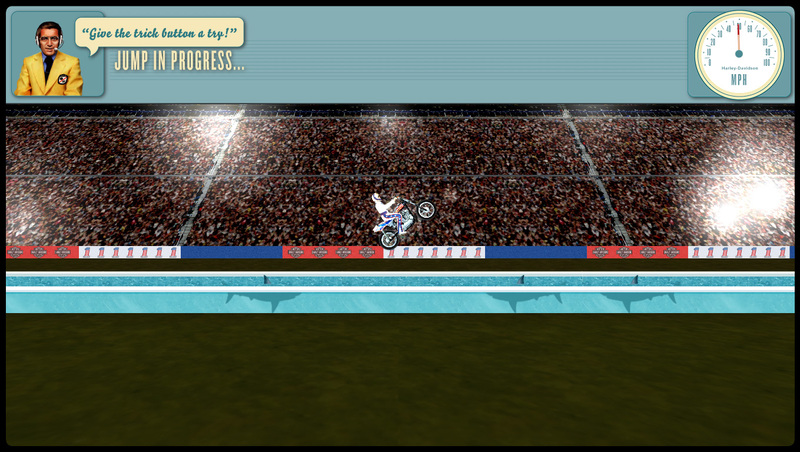 Visitors also learn some physics along the way. 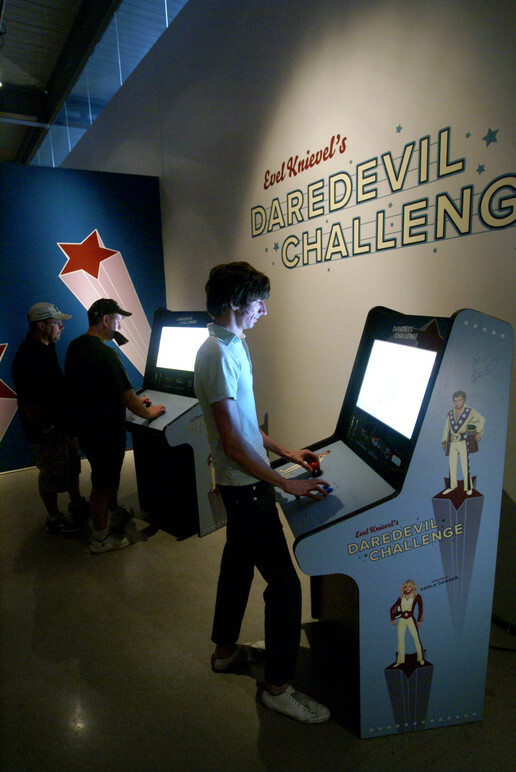 The game enclosures and interfaces were designed to make reference to the arcade consoles of the late ‘70s, while utilizing modern technology. 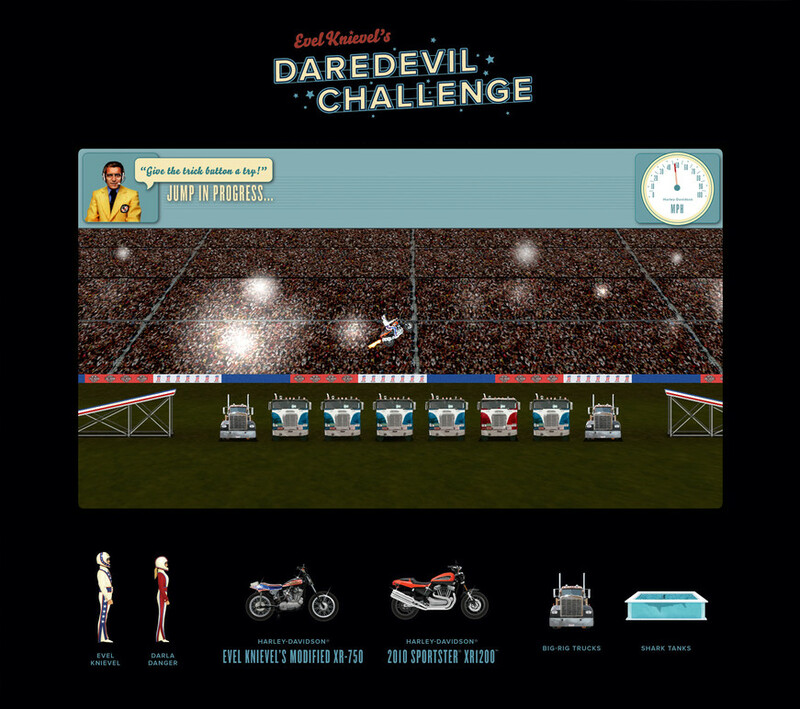 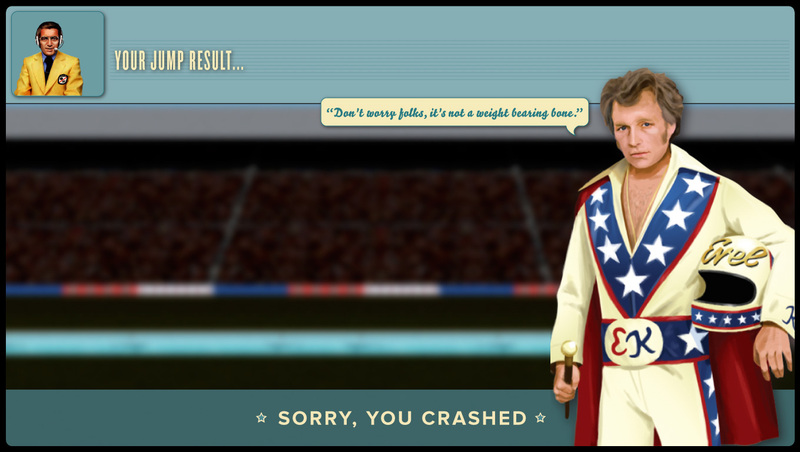 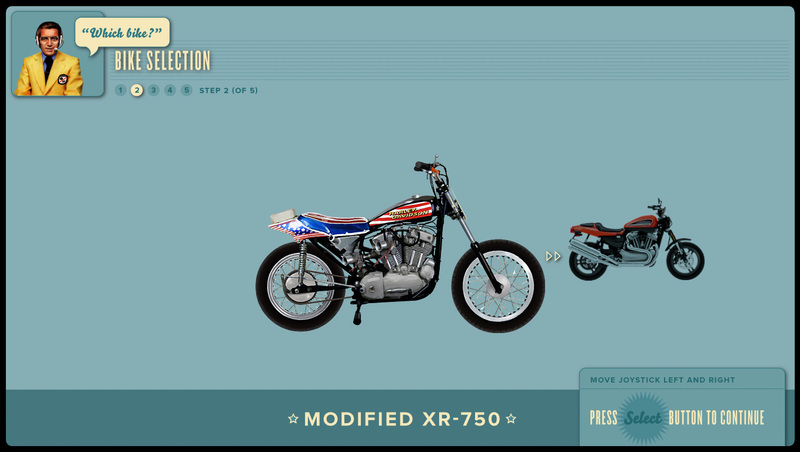 Gameplay includes characters Evel Knievel and Darla Danger, bike and jump options (trucks or sharks), and classic approaches to high scores and replays. 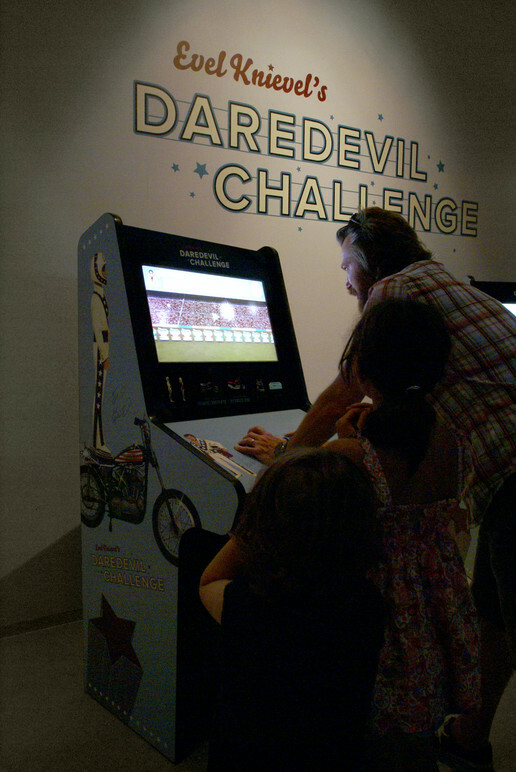 The Daredevil Challenge is fun for all ages, but is mainly targeted at ages 8-12 years old. 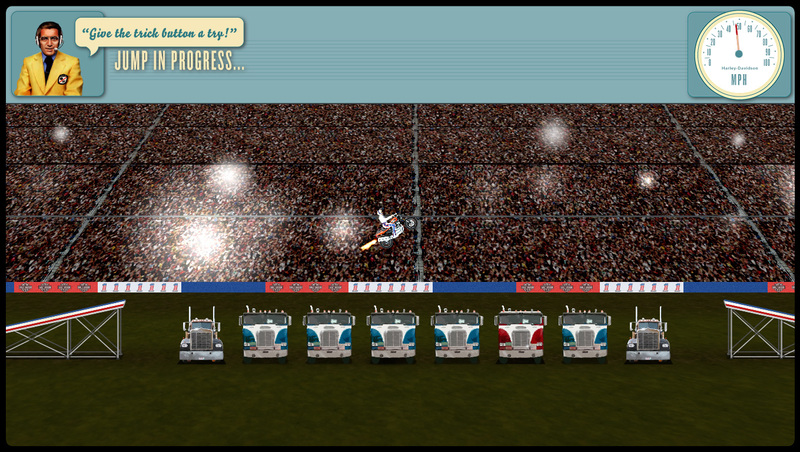 User selections help to teach kids basic physics concepts like momentum, trajectory and the affects of gravity.